LAS VEGAS – Switch (NYSE: SWCH) and FIRST Nevada have teamed up again to demonstrate the value of STEAM education and careers in these fields, through robot design and creation for the 2018 Las Vegas Regional FIRST® Robotics Competition. Switch, a global technology solutions corporation has provided a major sponsorship for the second year in a row to support and enhance the FIRST® program in Nevada. The FIRST® Robotics Competition is a program that challenges high school students – working with mentors – to design and build a robot, over an intense six-week timeframe, to compete with an original robot in the FIRST® (For Inspiration and Recognition of Science and Technology) Robotics Competition. This year’s competition in Las Vegas on March 22-24, will include 45 high school teams with participants from Nevada, Arizona, Utah, California, Wyoming and Germany. This season, more than 91,000 high school students on 3,650 FIRST Robotics Competition teams, in the U.S. and 27 countries worldwide, will compete in 160 Regional and District Events. FIRST POWER UPSM, the 2018 FIRST® Robotics Competition game, finds teams trapped in an 8-bit video game. Each three-team alliance has three ways to help defeat the boss: Tipping the scale or alliance’s switch in their favor to earn points, exchanging power cubes for power ups (force, boost, and levitate) to gain a timed temporary advantage during the match, and climbing the scale tower to face the boss. 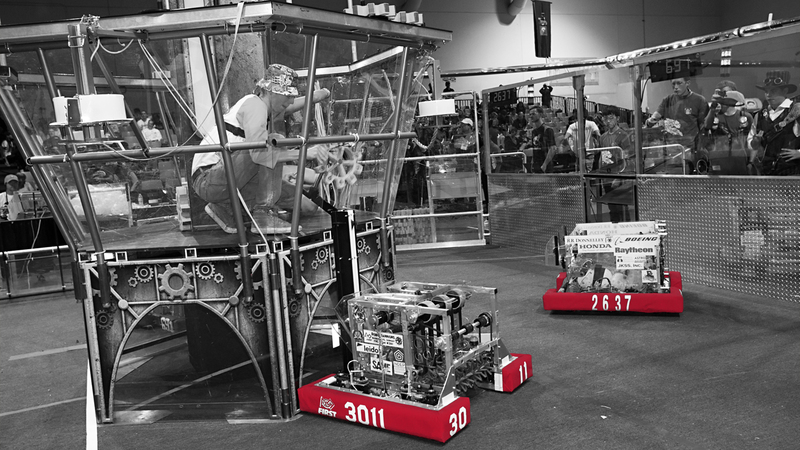 The alliance with the highest score at the end of the match, which includes autonomous and teleoperated periods, defeats the boss and wins the game. FIRST® was created by Dean Kamen to inspire an appreciation of science and technology in young people, their schools and their communities. Kamen and Switch CEO and Founder Rob Roy share a vision of attracting the young stars, inventors and futurists who are training their minds and creative energies for ever-changing careers. FIRST Nevada is a 501(c)(3) non-profit organization promoting FIRST® Robotics programs and STEAM education initiatives in Nevada. With support from corporate and foundation donors, the not-for-profit organization hosts the FIRST® Robotics Competition for students in Grades 9-12; FIRST® Tech Challenge for Grades 7-12; FIRST® LEGO® League for Grades 4-8; and FIRST® LEGO® League Jr. for Grades K-3. Gracious Professionalism® is a way of doing things that encourages high-quality work, emphasizes the value of others, and respects individuals and the community. To learn more about FIRST® visit www.firstnevada.org or www.firstinspires.org.